Echoing Hobbes’ seventeenth century classic liberal scepticism about global justice, recently articulated for the twenty-first century by Thomas Nagel, the political philosopher A.G.A. Bello once remarked that “[a] world government, of whatever form, must … remain a dream or an ideal” and for that reason he regarded the idea of global justice a fanciful chimera. This essay is a non-empirical consideration of how to sustain as a working ideal the notion of economic justice as negotiable in the global arena. The essay explores deductively the normative tenability of creating a forum to develop global justice consensually, as the outcome of deliberation and compromise through cultural diversity. This is a concept paper to apply globally the lessons carried within post-colonial efforts at democratic governance indigenous to West African (e.g. pre-colonial Ghana) traditions of peacekeeping diplomacy and effective stewardship. In contrast, the current framework of international human rights and justice presupposed in the global arena is structured and sustained by the same neo-liberal logic of self-interest that justifies the covert authority of an elite minority wholly occupied with mega-capital accumulation. 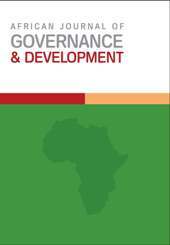 It is argued here that an African presence is essential in forming any agency to express the contemporary effort of developing distributive and retributive principles of global justice. The reasons provided here not only are historical, practical, and circumstantial, but also conceptual. I will try to show that a chief obstacle to realising universal norms of good governance is that the political culture dominating the global arena just cannot grasp the basics.